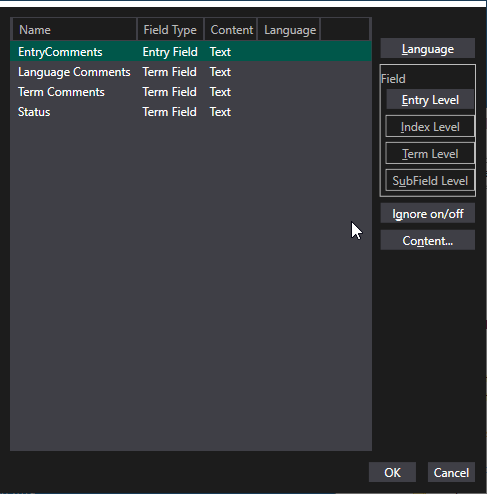 Glossary Converter tries to handle everything as automatically as possible, but in some cases the user needs to specify the meaning of fields, or define a language. In that case, a dialog like the following pops up. Each line represents a field that can't be identified automatically, where fields that still require action are marked red. These may be fields in a spreadsheet, or unknown languages in spreadsheets and tmx files. 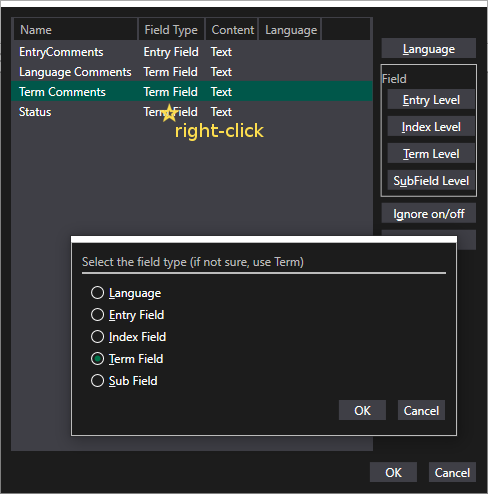 Click the button corresponding to the field type (Language or Entry/Index/Term level). In case of Language, a dialog will pop up from which you can select the language. Or: right-click on a field type and choose from the dialog that pops up. Click the Content button, and choose from the dialog that pops up. In case of a Picklist field, an additional dialog opens when you click the option, allowing you to edit the possible list values. 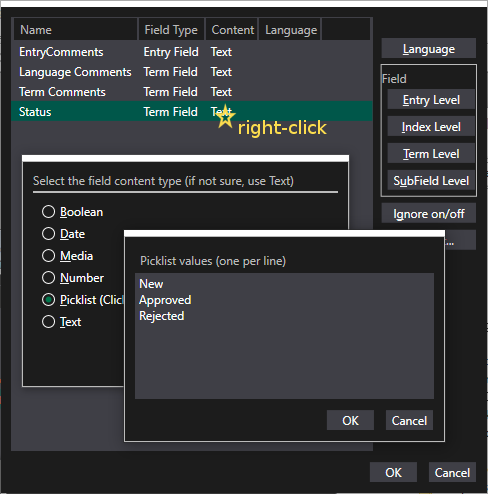 If you want to fill picklist fields automatically, leave the additional dialog empty and click OK.
Or: right click on a field content type, and choose from the dialog.